CRUSH celebrates art, urban beautification, creativity, and culture by enriching our community through an arts festival like no other. We believe that public art leads to an improved community as a catalyst for safety, cleanliness, creativity, and conversation. Centered around empowering artists, CRUSH is committed to reflecting and diversifying the urban landscape and the unique voice of a community, bringing art out of the galleries and into the streets. CRUSH started and still finds its home in the RiNo (River North) Art District which defines itself as a community "Where Art is Made”. CRUSH celebrates the craft of graffiti and street artists who bring life to walls while maintaining the unique cultural identity in this rapidly evolving community. The annual event transforms streets and alleys into open-air galleries. CRUSH raises awareness of the cultural significance and importance of art for all ages and all demographics that may not have the opportunity to experience it otherwise. CRUSH offers art inspiration through this urban craft. The organization serves as a forum for community engagement and creative expression, inviting locals and visitors to engage in this rich history and forward-thinking public art in Denver, Colorado. Join the experience during the annual event in September or visit the CRUSH Walls year round in the RiNo Art District. In 2016, CRUSH joined with RiNo Art District, helping grow the organization to its largest event yet, expanding to include over 100 murals spanning upwards of 10 city blocks. 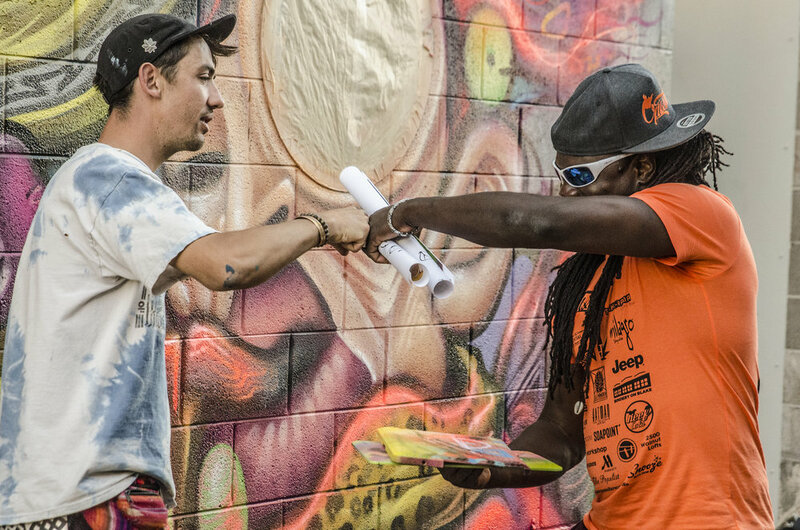 Today, the event’s murals can be seen throughout the RiNo neighborhood and Denver as a testament to the dedication of the artists and the community. Artists from the local to the international scale bring their talents, passion, and vision to the CRUSH Walls, transforming the exteriors and alleys into a vibrant outdoor gallery.